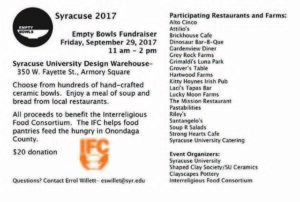 The annual Empty Bowls luncheon will take place this coming Friday Sept. 29th at the SU Nancy Cantor Warehouse from 11am-2pm. Choose a hand-made bowl and enjoy a simple meal of soup and bread from your favorite restaurants. All proceeds go to the IFC (Interreligious Food Consortium) and benefit local food pantries around Onondaga County.  See card below for details. Last year’s event raised over $25,000. The event, hosted annually since 2005, has raised over a quarter million dollars to fight hunger in Onondaga County.